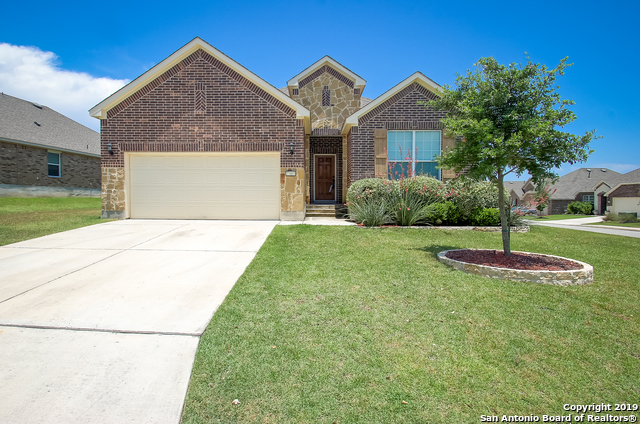 All Stonehaven Enclave homes currently listed for sale in Boerne as of 04/20/2019 are shown below. You can change the search criteria at any time by pressing the 'Change Search' button below. "Spacious 4/3 home on large corner lot w/ built-in study/office located off beautiful open kitchen. Located in the popular gated community of Enclave @ Stonehaven w/ community pool & playground right around the corner. Open floor plan & high ceilings, formal dining, & large kitchen w granite counters & gas cooking. Beautiful wood floors. Master down, along w/ guest suite w own bathrm. Loft upstairs w 2 additional bdrms. Large fenced yard w/ custom wood deck & covered patio. BOERNE ISD, Fair Oaks "